Over time, cystic fibrosis robbed Nicholas Hemmerle of his ability to enjoy active time with his daughter. But after a double lung transplant, he's breathing easier and ready to have fun again. The last thing Nicholas Hemmerle remembers before going into surgery at Mayo Clinic for a double lung transplant is a nurse putting a blanket on him and starting to sing. The other staff in the operating room joined in the soothing song with her. "There isn't a hospital in this entire world where people would come together and sing to you like that," Nicholas says. But it wasn't just the singing that had Nicholas feeling good. 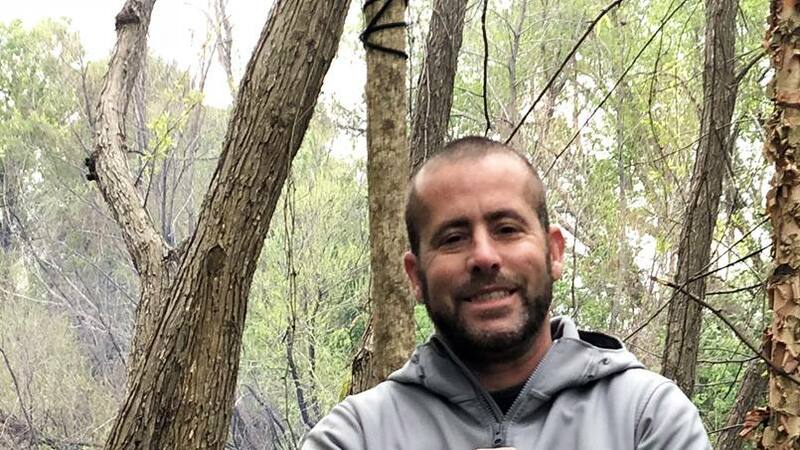 Nicholas' transplant and the postoperative care he received from a multidisciplinary team of providers at Mayo Clinic's Florida campus allowed the 34-year-old Savannah, Georgia, resident to take his first deep breaths in nearly 10 years and get back to enjoying his role as a father. That's the kind of result the Lung Transplant Program is aiming for with people like Nicholas, says David Erasmus, M.D., M.B., Ch.B., a Mayo Clinic pulmonologist and lung transplant physician. "Every time we see a patient like Mr. Hemmerle, it's like a miracle in front of our eyes — someone who could barely breathe and now has near-normal lung function," Dr. Erasmus says. "This is life-changing for our patients, and that's why we do this." Nicholas was diagnosed with cystic fibrosis when he was 3 months old. The genetic disease causes the body's secretions to become sticky and thick. Instead of acting as a lubricant, the secretions clog tubes, ducts and passageways, especially in the lungs and pancreas. Despite his condition, Nicholas was fairly healthy until age 25. That's when he began requiring a two-week hospital stay once a year to break up mucus in his lungs and receive antibiotics to clear up infections that had developed from the excess mucus. In 2015, Nicholas' health took a significant turn for the worse. His lungs began to bleed, and he was put on life support. He was released after nine days in the hospital, but doctors told him his lungs were so damaged that he needed a double lung transplant. Nicholas, however, was afraid of transplant surgery. "The way my doctors in Georgia presented the option of transplant to me mainly highlighted the negative," Nicholas says. "They didn't reassure me that the outcome could be a good one." Despite his hesitation, Nicolas wanted to see his young daughter, Ryleigh, grow up. That motivated him to start a transplant evaluation at another medical institution in spring 2015. He was about to be put on the transplant list, but he says it didn't feel right. He decided not to move forward. Nicholas was able to get by with his lungs as they were for several more years. But in the fall of 2017, he was hospitalized again. His lung function was very low. At that point, he knew his only option was to get a new pair of lungs. A family member who had been treated at Mayo Clinic urged Nicholas to go there for his transplant. In November 2017, Nicholas took that advice. He drove from his home in Savannah to Jacksonville, Florida, to begin the transplant evaluation process at the Mayo Clinic Transplant Center. "We explained the possible complications to him but also shared the benefits, which can be amazing," Dr. Erasmus says. "We've had patients doing CrossFit and running half-marathons after transplant. Good outcomes with double lung transplants in patients with cystic fibrosis have become more the norm than the exception." Nicholas was reassured by that and comforted by the way his care team treated him throughout the evaluation process. This time, he was confident moving forward with a transplant. "Everybody treats you like a friend and family member. The doctors and nurses answer all your questions. They go out of their way to make you feel comfortable," Nicholas says. "The classes during the transplant evaluation helped me understand this is a new beginning. In my heart, I felt like this was a good thing." 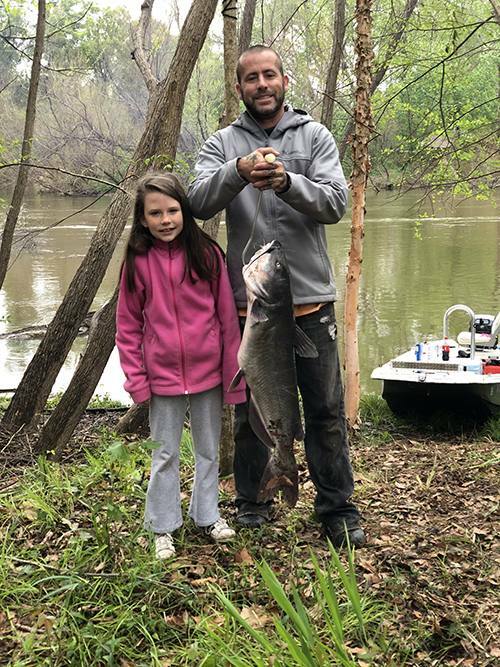 Nicholas Hemmerle on a fishing trip with his daughter, Ryleigh. On Jan. 2, six weeks after Nicholas was put on the transplant list, Mayo Clinic pulmonologist Jorge Mallea, M.D., called to say two lungs were available for him. Nicholas, who had been on a portable oxygen machine for two weeks, arrived at 5 a.m. the next day to be prepped for surgery. After a nearly 12-hour transplant surgery, Nicholas spent two weeks in the hospital. Following his discharge, he began cardiopulmonary rehabilitation to help him recover. The difference before and after surgery was striking. "Mr. Hemmerle's lung function was severely compromised. Prior to transplant, the most important parameter to assess lung function measured 18 percent," Dr. Erasmus says. "Two months after transplant, it's at 72 percent, which is near normal." The improvement in his lung function has allowed Nicholas to become active again, including enjoying a favorite pastime with Ryleigh: fishing. "Before the transplant, I was fatigued all the time. I couldn't pull the boat's anchor up or walk from my truck to the boat ramp without stopping several times," Nicholas says. "Now I can walk and not be out of breath." Excited by the changes, Nicholas says he is committed to his recovery and looks forward to all that the future holds. "I've been exercising every single day. On the days I'm not doing rehab, I've been walking 2 miles," Nicholas says. "I'm ready to do things I never did before."